As we age we have to make it a habit to constantly self diagnose and keep track of our changing bodies. Many illnesses are much more prevalent in our aging years. Having the ability to catch any issues early on can save a lot of stress and pain and maybe even save your life! “Most people commonly think of arthritis as the condition of having painful, stiff joints. In fact, there are many kinds of arthritis, each with different symptoms and treatments. Most types of arthritis are chronic with symptoms lasting years. Arthritis can attack joints in almost any part of the body. 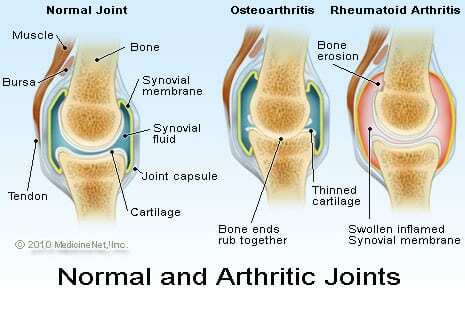 Some forms of arthritis cause changes you can see and feel such as pain, swelling, warmth and redness in your joints. Other types cause less troublesome symptoms, but slowly damage your joints.